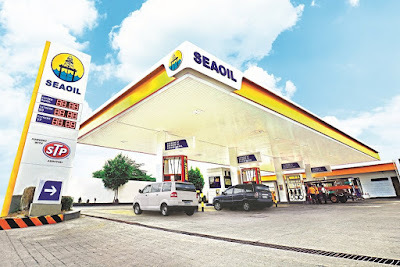 SeaOil, the one of the largest independent fuel player in the Philippines, announced that it will be offering a cash back promo for Grab drivers and employees at P 2 per liter rebate on gasoline and P 1 per liter on diesel. The Grab promo is available from today until November 30 at all SeaOil stations in Metro Manila. To avail of the promo, Grab drivers must present their Grab ID and Grab driver app to the station crew. Grab drivers may only avail of the promo for vehicles that match the plate number on their Grab driver app. For Grab employees, they may only present their Grab ID to the station crew. Started in 2012, Grab now has one of the largest driver networks in the ride-hailing industry in Southeast Asia. The company specializes in a wide range of ride-hailing and logistic services through its mobile software or app in Vietnam, Indonesia, Thailand, Singapore, Malaysia, and the Philippines. Now with over 400 stations nationwide, SeaOil continues to grow year after year, fueled in large part by its award-winning franchise packages. As a pioneer in the shift to unleaded gasoline and introduction of low-sulfur diesel, the company’s innovative spirit has led it to the forefront of shifting to alternative fuels like bioethanol gasoline and bio-diesel.